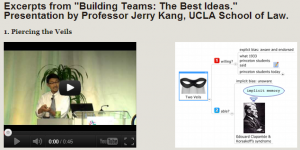 Back in September 2012, I gave a keynote to the Leadership Council on Legal Diversity about implicit bias and stereotype threat and their impact on building the best legal teams. Their website is hosting various video clips from my talk. Enjoy.